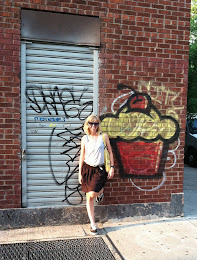 If you've ever had a thought about making creative cupcakes, you've probably seen the cookbook, "Hello, Cupcake!" Talk about cute cupcakes! Well, the authors, Karen Tack and Alan Richardson, are back with more. 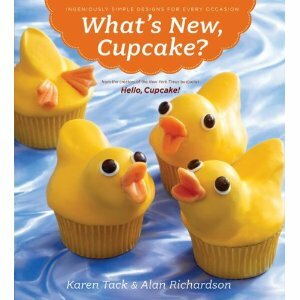 Their newest cupcake cookbook, "What's New, Cupcake?" is now available for sale. You can find it on Amazon for $11.53, but I'm sure it's available at most other bookstores too. 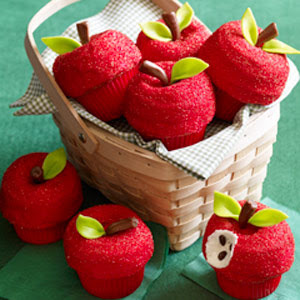 Just a sample of the amazing cupcakes you are sure to find in this book...."An Apple for the Teacher Cupcakes." I think it might be better than the first one! 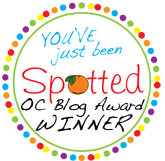 Congrats Tasha! Lucky! I can't wait to see what they've come up now.